Mumbai, May 14 (IANS) The cricket fever will not end with the conclusion of Indian Premier League (IPL) on May 21. The loyal fans can take it from the fields to big screens by watching cricketing legend Sachin Tendulkar’s film “Sachin: A Billion Dreams” on May 26. It will be the first film releasing on Friday at the end of IPL this year. 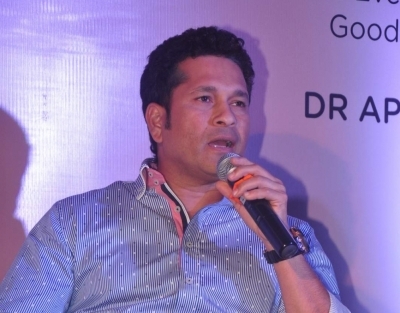 The movie will encapsulate Tendulkar’s struggle and unknown and little known facts about him. The makers had seen 10,000 hours of archived footage to do some research for the film. Produced by Bhagchandka of 200 Not Out and Shrikant Bhasi of Carnival Motion Pictures, it is being helmed by James Erskine.